Today we have a darling collection of 11 Purple Flower Images! All are FREE for you to use! Below we have a gorgeous array of florals. Featured are lovely purple Wildflower graphics, delightful purple Flower Illustrations, and amazingly detailed purple Botanical Pictures. These are nice for your Decoupage projects and Spring or Garden themed Craft Projects! 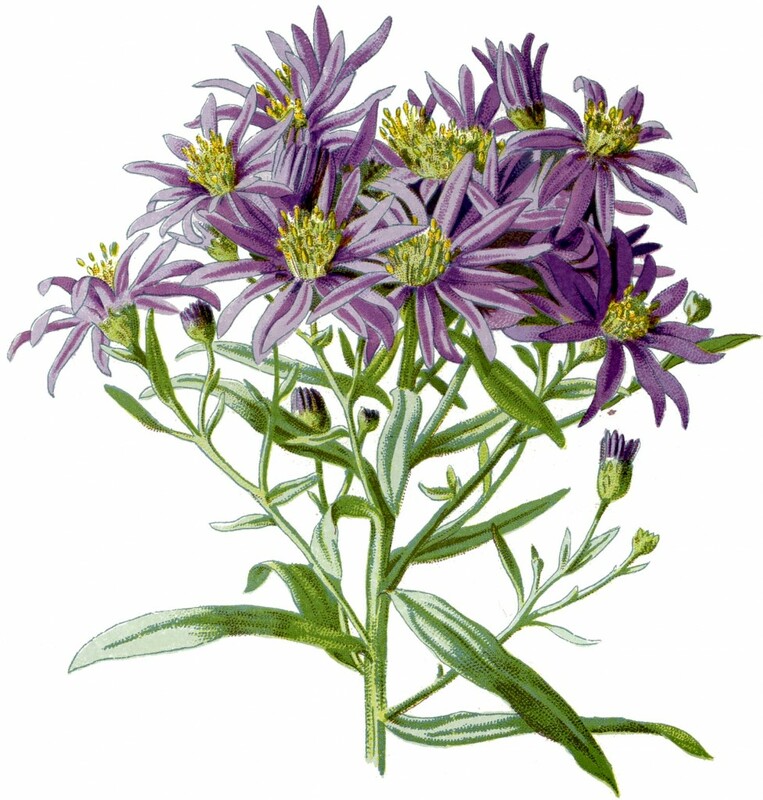 Above is a Vintage Purple Wildflower Image! Isn’t this interesting? Shown here is a plant with delicate Purple Flowers and yellow centers. I love the various shades of purple on the flowers! 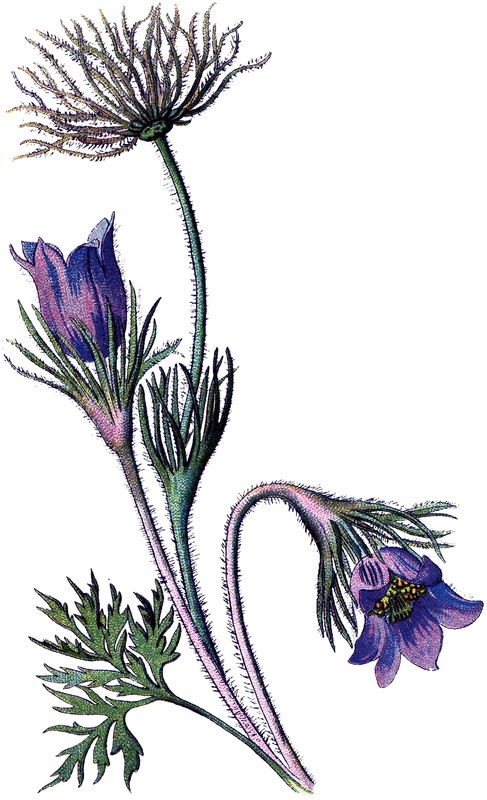 This is another attractive Vintage Purple Wildflower Image! Shown above is a plant with delicate Bright Purple Flowers. It looks as though it may be some type of Clover Flower. Above is the perfect vintage Lavender image. I think it almost looks like a real photograph from a meadow! It comes from an 1852 Encyclopedia. The original was quite hard to find. I hope you like it! This is a Vintage Purple Flowers Image of two lovely and cheery looking Daisy type Flowers! I’m not sure if they are Mums or Asters, but they are very pretty either way! I love the detail on these. They are from an Antique greeting card. This is a gorgeous Vintage Flower Graphic that comes from an Antique Botanical Print. The print dates to Circa 1840′s and is a hand colored Engraving from a London book. According to the print this is a Kennedia. 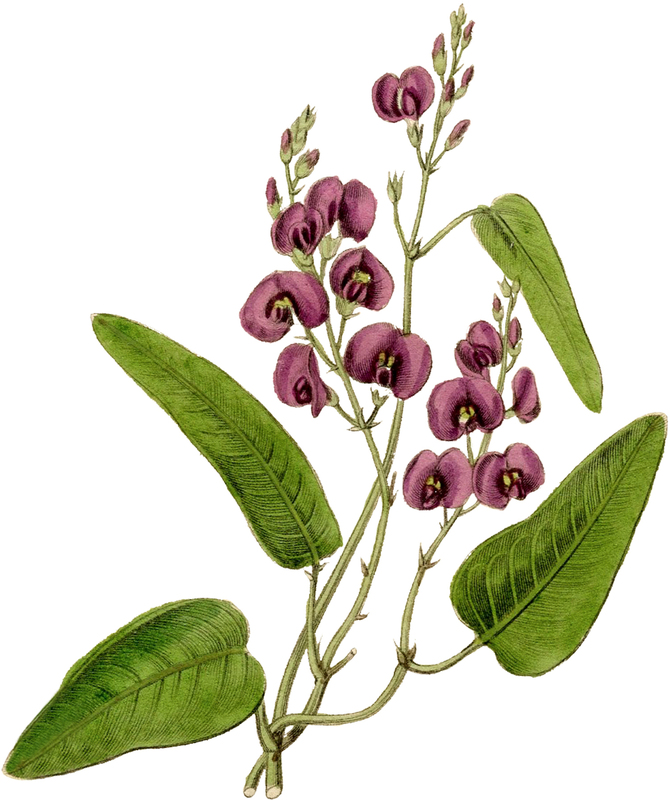 It has pretty purple Flowers that look somewhat similar to Sweet Peas along with some bright green foliage. So charming! 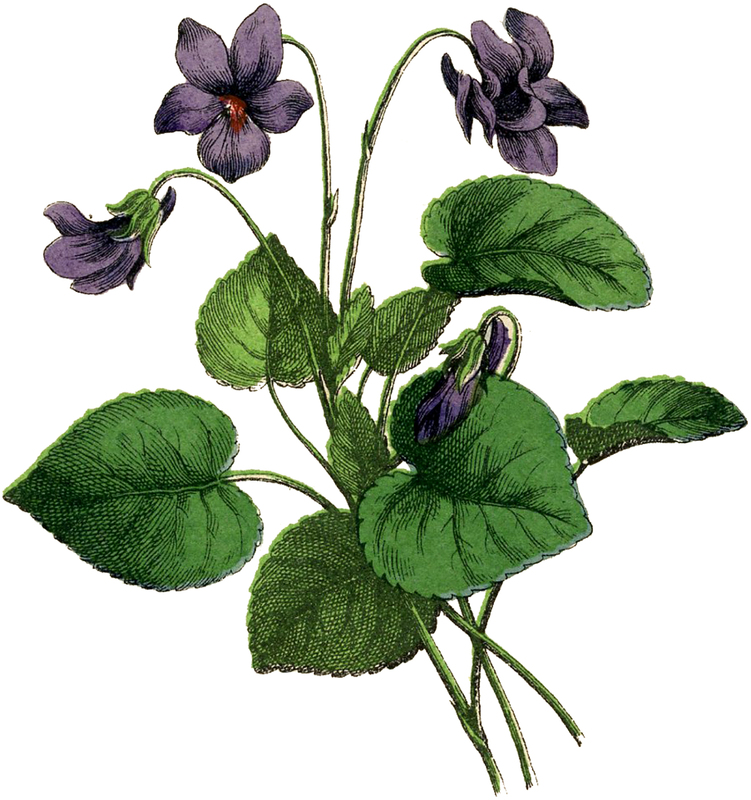 This is a graceful Vintage Violets Image! Featured here is a beautiful little bunch of lovely Purple Violet Flowers. This Botanical Illustration was scanned from an amazing Antique Botanical book from Germany Circa 1890’s. There are all kinds of wonderful Flowers and Plants depicted in it. This is a splendid Purple Flowers Picture! Featured here is a lovely Bouquet of purple Flowers. I’m not sure what these are supposed to be; perhaps they are Asters or Mums. I like the contrast of the purple petals with the bright yellow centers. So cheery! 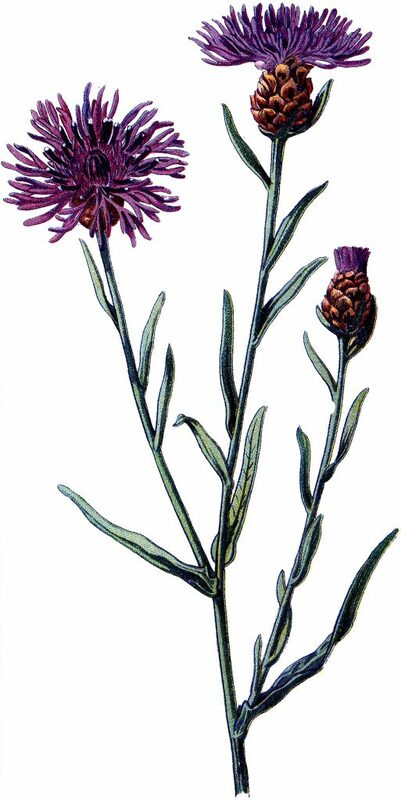 Pictured above is an Old Purple Thistle Botanical Image! The hand drawn image of a tall, spiny, Thistle flower. It is crowned by a cluster of showy red purple flowers and brown bulbs that resemble pine cones. The bluish green pointed leaves are thin and wander up the long stem. This is a lovely Botanical Crocus Image! 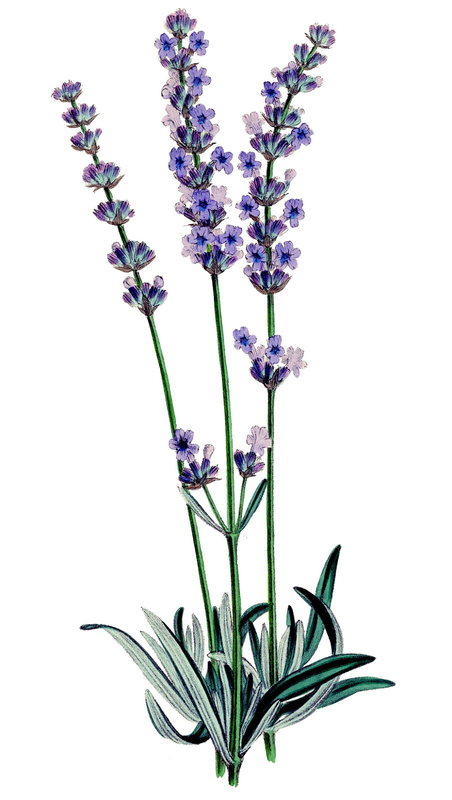 Featured here is an interesting vintage graphic of a simple lavender Crocus Flower with the bulb and roots attached. This Botanical Illustration was scanned from an amazing Antique Botanical book. 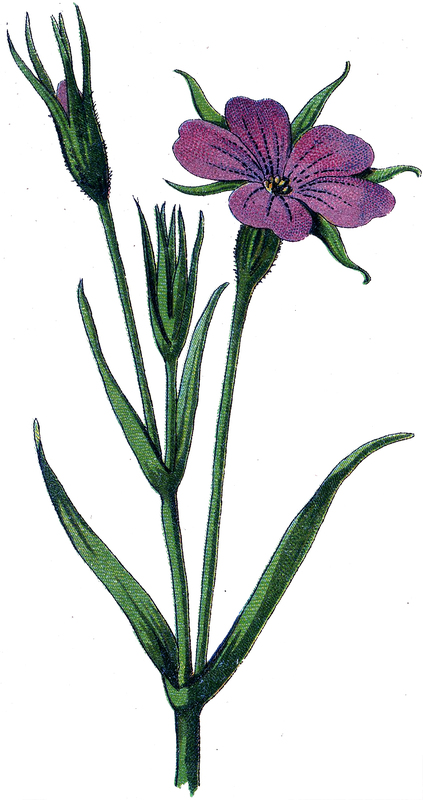 Featured above is an Antique Purple Phlox Botanical Print! This lovely colored pencil sketch of a 5-petal purplish pink phlox plant has green leaves and stems. The bright purple bloom has dark veins disappearing into black center eyes with yellow spots. 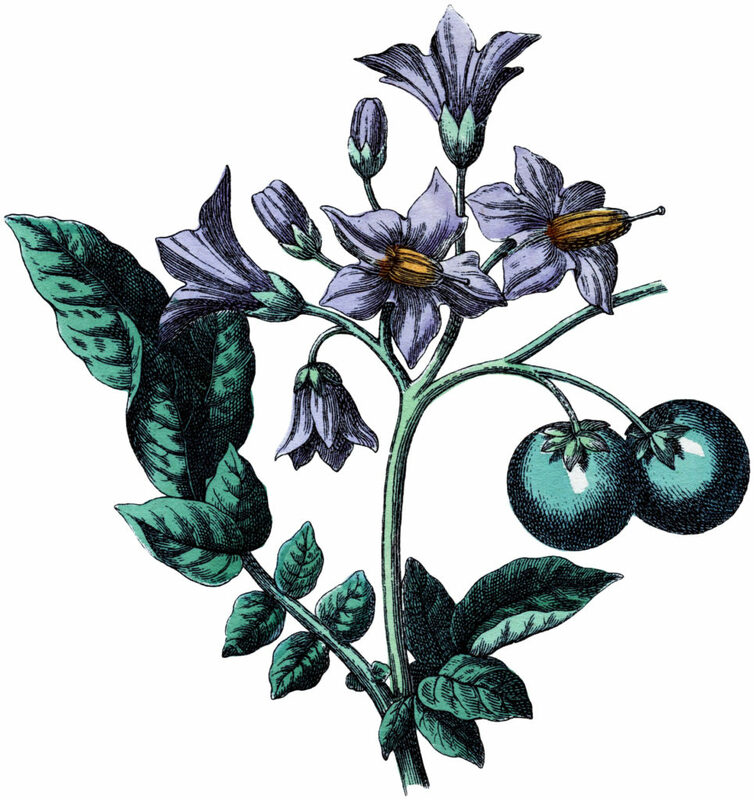 This is a Pretty Botanical Potato Flower Image! Shown here is a wonderful Purple Potato Plant Flower with Green Leaves. The green looking Fruit looks a bit like Christmas ornaments to me! Make sure you enlarge to see the detail on this nice Botanical! I hope you enjoyed this fun curated collection of 11 Purple Flower Images!!! You might also like our 50 Favorite Free Vintage Flower Images HERE. Victorian Scrap Roses Image Kit! Graphics Fairy Premium Membership 8 Circa 1905 Garden Flower Illustrations – Updated 10 Pink Botanical Clip Art Vintage Flowers- Updated! Do you have any bluebonnet pictures? The top flower looks like a Pasque flower that grows wild in the Colorado Rockies.